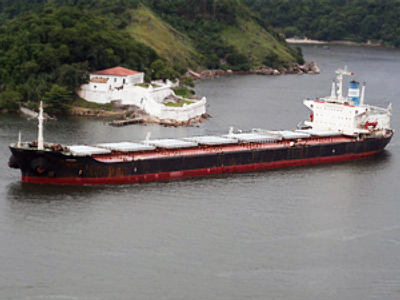 The situation has become critical onboard the Greek bulk carrier “Ariana” with a 24-strong Ukrainian crew. It is out of fuel and drifting in the Indian Ocean with damaged equipment. “Moreover, the weather in the area is not very kind, and that may result in the wreck with all that it implies,” said Andrew Mwangura, a negotiator between pirates and ship owners off the coast of Africa who directs the Seafarers' Assistance Program. According to Itar-Tass news agency, a fuel vessel has come out of the port of Mombassa in the direction of “Ariana,” but there’s no connection between them as the pirates seriously damaged the Greek ship’s equipment. Moreover, the fuel vessel’s motion is slowed by a severe storm and it won’t be able to reach “Ariana” earlier than several days from now. An American frigate is escorting and protecting “Ariana,” but it does not coordinate the fuel vessel’s actions. If the lives of the Ukrainian crew are in mortal danger, they may take to the frigate, but in this case they will be practically deprived of the money they earned as well as compensation for the time spent in captivity. 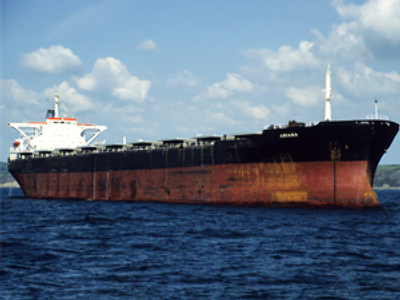 “Ariana” bulk carrier, loaded with 35,000 tons of soy, was captured by pirates on May 2, 250 miles to the southwest of the Seychelles in the Indian Ocean. Eight months later it was released, with the pirates saying they got a $2.5 million ransom.